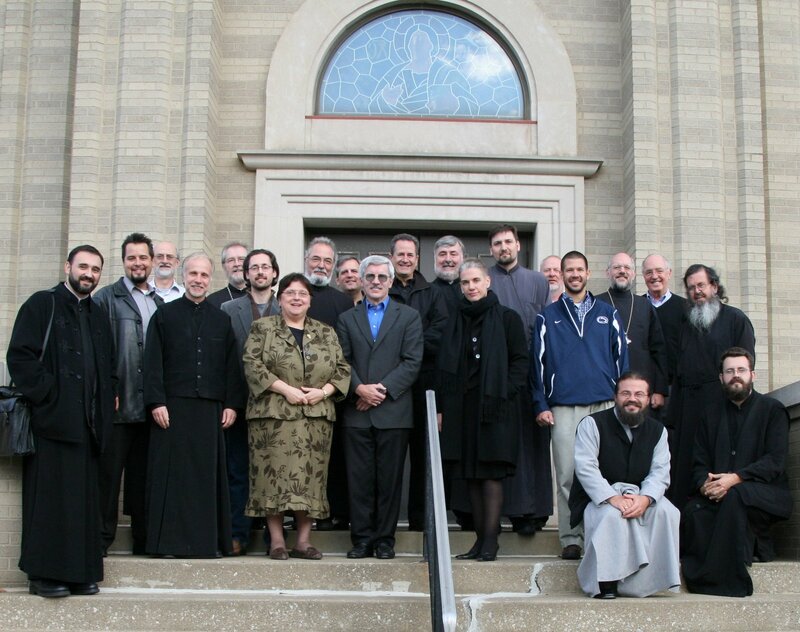 Canton, OH - The Lord’s work continues for the ministry committees of the Serbian Orthodox Church in North and South America. 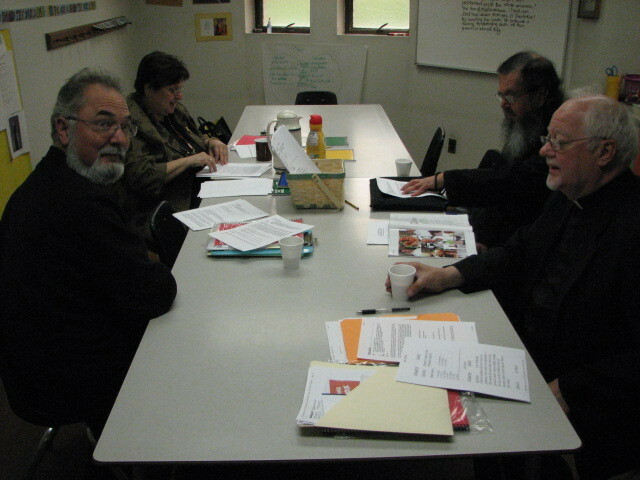 The committees began planning proposals for the 2009 Church Assembly-Sabor to be held during the week of August 10th—14th. There was a joy in the Lord that permeated these meetings. All present were truly aware of Christ’s declaration that, “…where two or three are gathered in my Name, there in the midst am I” (Mat. 18:20). Committee members traveled from far and wide to attend this meeting, ranging from Seattle, WA to Washington, D.C. and everywhere in between. While the committees did meet via conference calls throughout the year, the face-to-face meeting that occurred provided a chance for each committee to present it’s progress to the others and gain valuable feedback. This meeting also presented the opportunity to begin planning for the layout and theme of the upcoming Sabor. Prota Dragan Filipovic and his parishioners of St. George Serbian Orthodox Church in Canton, OH hosted the committee members, treating them royally. All of the participants wish to express their gratitude to the St. George congregation for providing such a wonderful experience! Each committee presented its current progress and future plans in multiple general plenary sessions of all committee members, as well as holding separate committee meetings. 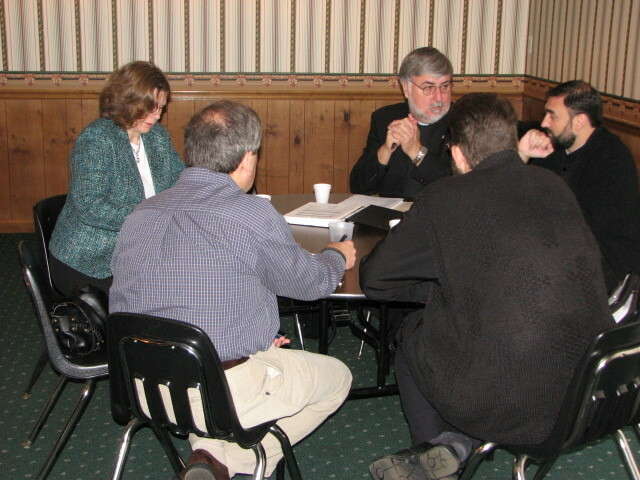 The Ministry Committees were established at the 2003 Church Assembly to develop programs and materials to aid our Dioceses and parishes in carrying out their missions. The Youth Committee reported that its Youth Conference in Los Angeles last August was a tremendous success, netting the largest number of participants to date. It has already distributed the packets for the upcoming St. Nikolaj of Zica Oratorical Festival to parishes across the country, and has begun planning the 2009 Youth Conference in conjunction with the beginning of the National Sabor. Potential venues in the area for the conference were examined. The theme for the upcoming conference will be “Know God, No Fear—No God, Know Fear,” bringing to mind that basic understanding that with God, all things are possible. 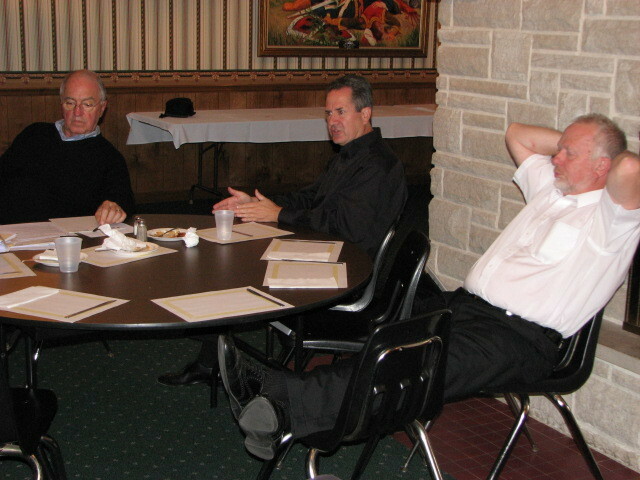 The Stewardship Committee reported progress nationwide in the growth of Christian Stewards. The members were especially thankful for the articles of Prota Rastko Trbuhovich of Lackawanna, NY that have been published in the Path of Orthodoxy. This year, the Stewardship committee has also published “The Do’s and Don’ts of Stewardship.” The Stewardship committee plans to begin working to raise awareness of the possibilities of exercising good Christian Stewardship even after one’s passing from this life to eternal life. The committee cites that many in the Church have not really thought about how one can be a steward in death, and believes that this is a topic that truly needs attention. The Liturgical Music committee reported on two very successful Cantor’s Workshops, held in Jackson, CA and Aliquippa, PA. 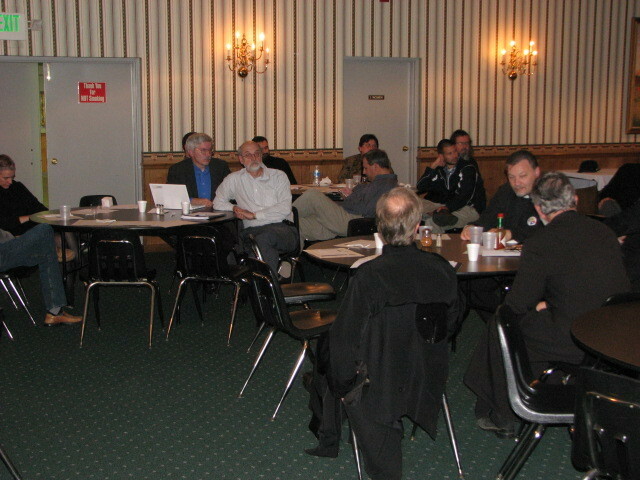 The music portion of the Church’s website continued to grow due to the diligent work of the committee, and all clergy at the meeting applauded the rubric work published. Transcriptions have been completed of the entire Mokranjac Liturgy; and the Stankovic Liturgy is almost complete as well. The Liturgical Music Committee also reported that its collaborative project to record some of St. Nikolaj’s hymns at the last SSF Choral Workshop was a great success. Finally, the committee is nearing completion of a third volume of approximately twenty Christmas hymns. The committee hopes to make everything available inexpensively in a hard copy form through the bookstore, and to make them available online. The Educational Committee reports success in realizing one of its main directives: to create and implement a unified Camp curriculum. This year, all of the Serbian Orthodox Camps across the country were able to utilize a uniform curriculum, for the first time in the history of the Serbian Orthodox Church in America. The committee also recognized the need to develop presentations, workshops and a certification process for Church School Teachers. This would enable the proper preparation of the instructor, now that the curriculum has been established. The Communications and Publications Committee recounted its numerous accomplishments and publications, citing its existence as the oldest Ministry committee. However, it recognizes that much still needs to be done to help our people become more aware of the many services and resources the Church offers. Therefore, the publications committee is diligently searching for ways in which to make the website and The Path more readily available to all. The Young Adult Committee reported that since its recent creation, its focus has mainly been on how to bring Serbian Orthodox college students into contact with the Orthodox Christian Fellowships functioning on many college campuses across the country. While this focus will remain as one of the important tools through which to make the Church available to those in college, the committee sees the need to also incorporate young adults and young families in the work of the Church. The second Young Adult Conference will be held in conjunction with the Sabor in Canton, OH in August of 2009. The theme of the conference will be: Cultivating the Faith in Today’s Modern World. The Serbian Culture and Language Committee reports that it has experienced growth and success in its endeavors to make the Serbian heritage more accessible to Orthodox Christians in America. It has developed a primer with over 30 lessons on Serbian saints and culture, complete with stories and illustrations, awaiting publication. This committee has also been collecting recordings in tape, CD and record form of children’s stories. Through the work of Fr. Zivojin Jakovljevic, it has published numerous articles in the Srbobran and the Path of Orthodoxy, and has accompanied two trips to the old country, assisting as tour guides. The various committees took the opportunity to tour the beautiful grounds and facilities of the St. George property, as they planned out some logistical questions involving the approaching Sabor. The 2009 Sabor will be held at the Canton church’s facilities. Gathering the committees together for these general sessions provides an opportunity to share in each other’s talents and perspectives. Many of the members on each committee possess talents in multiple areas—and larger meetings, such as this one, provide a fantastic opportunity for brainstorming. 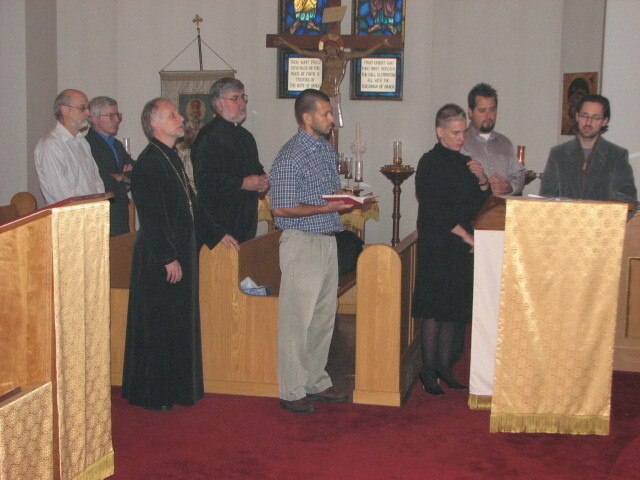 The day included both Matins and Vespers, with congregational singing led by members of the Liturgical Music Committee. The committee members reported feeling spiritually refreshed and rejuvenated, even after long days of meetings. The fellowship experienced at these committee meetings is truly a gift from God, and committee members expressed their continuing desire to contribute to the growth and welfare of our Church.